I have been swallowing quotes and life quotes of years now. I am not sure how I originally started to be honest, however, I have never stopped. Life is so full of things that deplete us and bring us down. Actually, the things that bring us down do so because we let them. I have to keep it real. I learned from a very strong mentor that we give the permission for all things in your lives to penetrate us on every level. I had a hard time with that at first, I did not want to believe him. Now that I accept that statement, it keeps me in line mores than not. This first one strikes a chord in me first and foremost because I have been in this state of mind before. Secondly, because I had a conversation recently with a woman who seemed to own her past and use it for her "story" about not moving forward quicker. 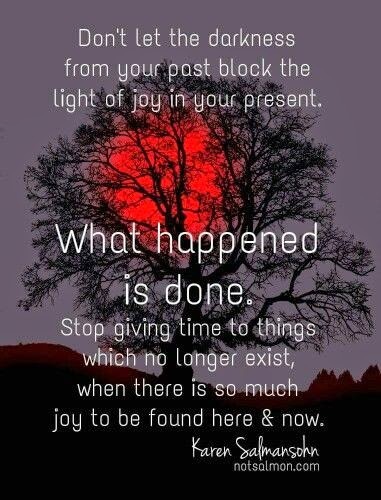 We all need continual reminders as to how powerful we are and how much power is truly alive in the present moment. I know that I could not have resonated with this if I did not have some remnants of it in my system. I will read it again and make sure that I understand it fully. The second one is so great because I have seen it in action so many times. 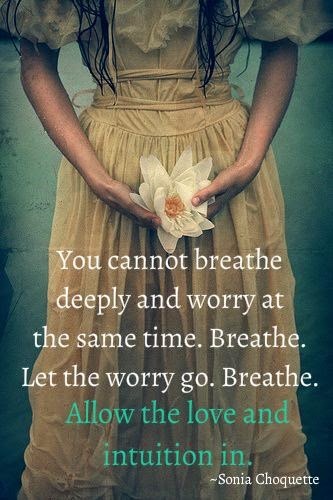 I can say that I am a complete advocate of breathing in and breathing out as much as possible. I mean we do it all day, however, how many times do we breathe in and out deeply and mindfully during the course of an average day? It's a major plus to our lives. I do it more because of yoga, however, anyone can do it at any time. Allow the love and intuition in. That is a magic sentence. 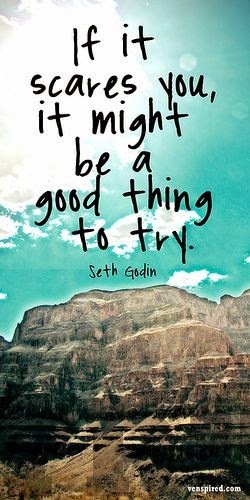 Lastly, one if my favorite mentors is Seth Godin. This last quote is a monster. Each time I do something that scares me, I open up a new channel that blows my mind! Please take this advice asap. I have nothing more to say about that.